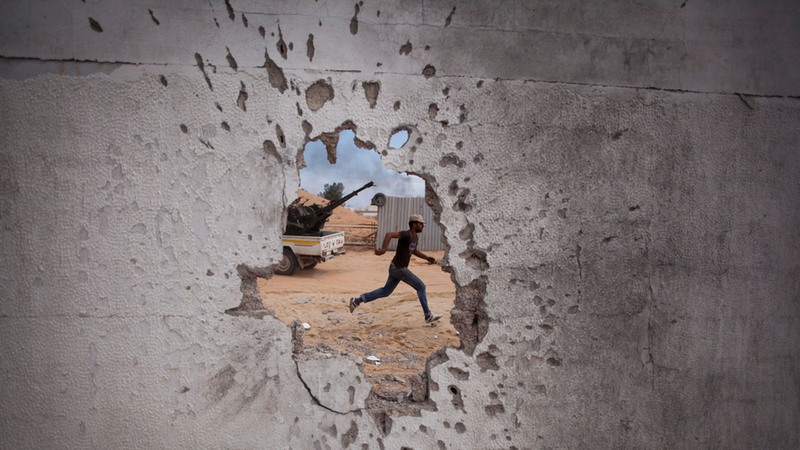 Eastern forces and troops loyal to the government in Tripoli fought on the outskirts of Libya's capital on Wednesday as the battle forced thousands of residents to flee their homes. On Monday, a warplane took out Tripoli's only functioning airport, and the number of displaced people - 3,400 at the last United Nations count - is mounting alongside the casualties. "It relies on the militias for security", Gurdon said. The GNA's health ministry on Monday put the death toll in the fighting at 35. The UN Humanitarian Coordinator in Libya, Maria Ribeiro, has warned Libya's waring sides of the need for the protection of civilians. "I don't expect the fight to continue much longer", he said. The national conference, which had been scheduled for April 14-16 in the central city of Ghadames, aimed to fix dates for legislative and presidential elections, and work toward a new constitution.